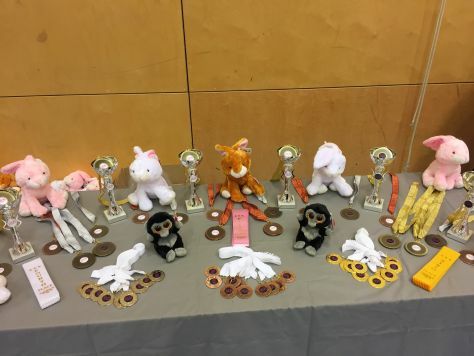 A jam packed weekend of competition for our Intermediate and General Squad gymnasts as they competed in the Pink Events 2 Piece Championships. 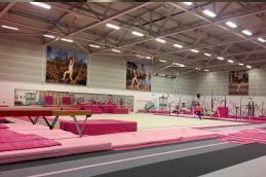 The competition started off on Saturday at Wansbeck Gymnastics Club where we had 12 girls entered in rounds 1 and 2. The girls all had to perform individual routines with compulsory skills included as well as 2 vaults each. For a lot of the girls this was their first ever competition and they all performed brilliantly showing lots of confidence which shone through as they performed their routines. Lydia Quinn had an awesome day as she came away as the overall Level 7, 8 years Champion! All photos from the competition can be found on the South Durham Gymnastics facebook page and full results can also be found at www.pinkeventsne.co.uk.